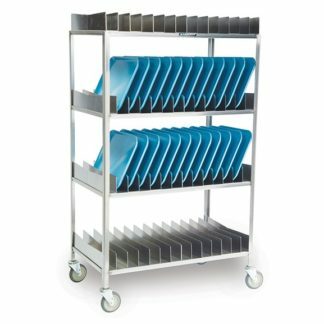 This easy-to-clean stainless steel mobile drying rack can be easily rolled from ware washing to storage areas and is a great solution for sheet pan storage and transport. 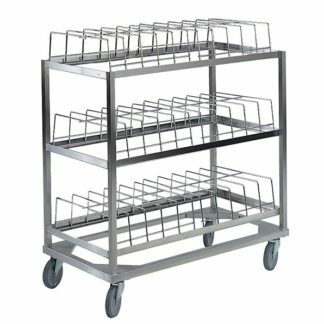 Dry up to 120 sheet pans with this all-welded heavy-duty drying rack. Frame is 14 gauge square stainless steel tubing. Solid stainless steel tray slides are 1-1/2″ wide and have pan-stop ledges to prevent pans from sliding off the back side. 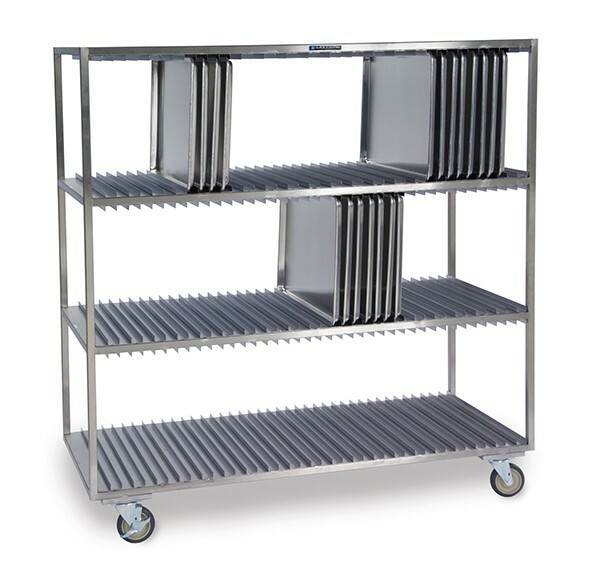 Sheet pans slide easily into vertical channels on three levels. 5″ No-Mark swivel casters (2) with brakes. Will also accept half size sheet pans.